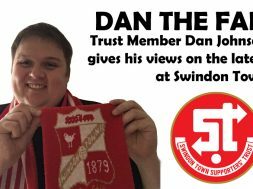 About nine years ago now, I spent about £100 on an eBay purchase – a set of home recorded VHS tapes full of old STFC footage. The footage itself was golden, going all the way back from the very early 1980s through to the mid-1990s – considering the number of households that would have had recorders back then, the early cost of VHS cassettes and the dedication of someone diligently recording the sports section of the HTV News programme almost every day, it’s pretty amazing that the earlier footage even existed. I transferred the footage to the PC, chopped it up into individual match files and uploaded it to YouTube, along with a couple of “Best Goals Ever” compilations. 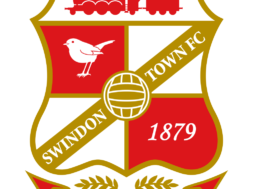 Richard Banyard’s www.swindon-town-fc.co.uk – the go-to place for Swindon Town stats, facts, history, videos and much, much more. Looking back, this was possibly the one best thing I ever did for the site – since then, lots of people have come forward with their own taped footage and gradually the collection has built up. One person in particular, Simon Bayliss, has contributed massively – constantly finding obscure clips from various sources, often at significant expense. A couple of years ago, I sorted and uploaded absolutely everything that we had gathered (my PC was on for literally weeks uploading all the files), to bring the YouTube channel up over 1200 games (some you’ll want to see again, some you definitely won’t!) – and no longer restricted by the old 15-minute file length limit, it allowed me to upload full matches for the first time (there are 108 full games available). 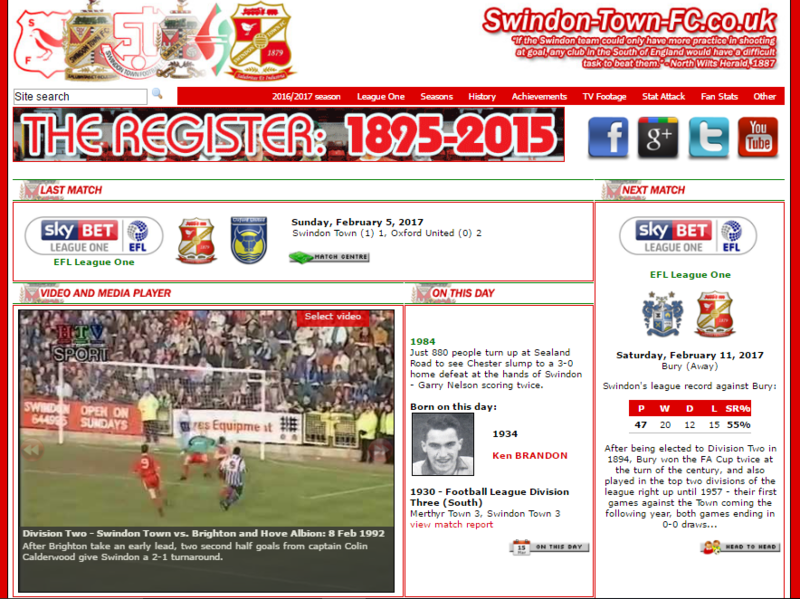 Again this prompted a lot more footage to be offered – we now have over 630 DVDs with STFC footage on… some have a short news clip from one game, others have hours of clips and highlights. At the time of writing, the YouTube channel has had over 1.1million video views – over the coming months, I’ll be uploading the newly-received clips to fill in as many of the gaps as possible. Just before the play-offs a couple of seasons back, I was interviewed on BBC Radio Wiltshire – in an interlude when we were off-air, Sam Parkin mentioned how he enjoyed watching back some of the old videos, but he also mentioned another video (not one of mine) that had since been removed. 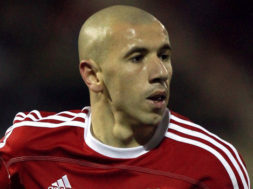 The video was called “Goal Machine”, and contained footage of his goals at STFC. “I could do that,” I thought… but when I started to look at it, I realised that I was missing a couple of goals to make the video complete. One thing I have found is that footage for the period from the late 1990s through to the mid-2000s is really difficult to find. I’m pretty sure this was due to a few things – Sky started taking over from terrestrial TV, and VHS was being replaced by DVD, so many people just didn’t have the equipment to record anymore. For those that did, sometimes it just wasn’t possible to record anything if you weren’t there to do it manually – I remember on the old Swindon Cable set-up only being able to record the channel that the box was on… and with the state the club was in for most of the time, there perhaps wasn’t much incentive to religiously record STFC clips! Because of this, much of the footage from the early 2000s is of poor quality, as in many cases it was downloaded from the internet. Since 2008, I have been recording my own footage for use in the future – but if you do have anything that you think may be of use (especially from before 2007), please get in touch! 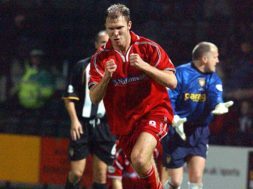 I’m pleased to say that the missing clips have recently been discovered, which allows me to present a new video – a 20-minute compilation of all 73 of Super Sam’s goals for Swindon from 2002 to 2005. 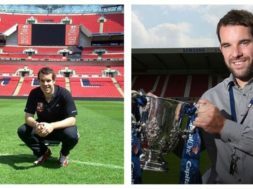 Hopefully this will put a smile back on your face… Sam Parkin – Goal Machine!